The author would be very pleased to receive additional information or stories concerning postal or telephone services up to 1965, and can be contacted via this link. Lowgill post office had opened by January 1915, but we do not know for certain where this was. 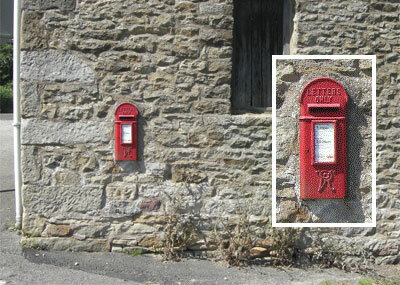 The Lowgill letter box would then have been on or near the post office, and similar to the one shown below, which survives at Green Smithy. 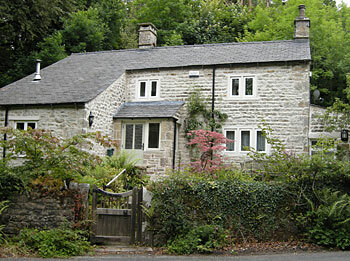 In an “unofficial” annual post office record, Lowgill post office was not listed in 1922, was listed in 1927, and was unlisted again in 1936.1 The omissions may reflect the way the data was compiled, rather than indicating that the post office was closed at any time. When it opened, Lowgill post office had no Sunday delivery of letters, and no M or T facilities. It did sell National Savings certificates, wireless receiving licences (10/-), dog licences (7/6d) and game licences (£2 seasonal or £3 annual), would pay Postal Orders, and dealt with Pensions and Allowances. Most smaller post offices opened 9.00am to 7.00pm, not Sundays or Public Holidays, with early closing one day a week. 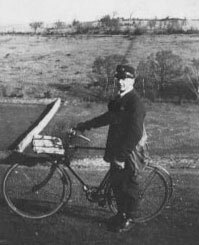 By 1938 the post for Lower Tatham came by bicycle from Wennington. In 1936, to commemorate the Silver Jubilee of the coronation of King George V, a telephone box was to be provided in every village with a post office, regardless of cost. 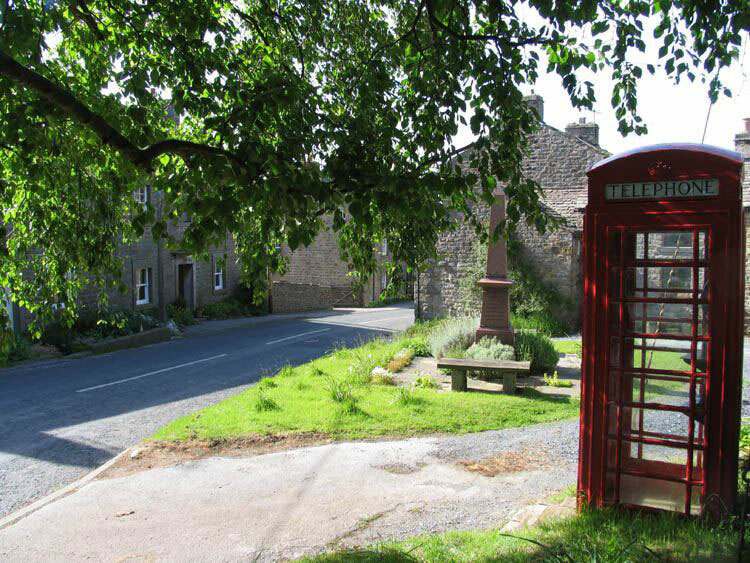 This is how Lowgill came to have its phone box – the only one in the parish. 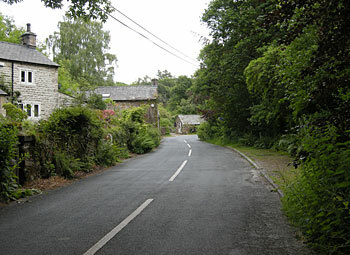 The telephone kiosk was installed in 1937, opposite the post office at Glen Cottage. 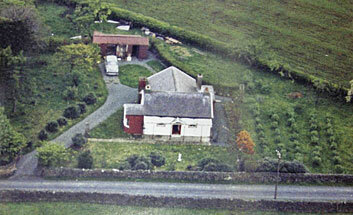 The phone box was originally sited in the lay-by on the right. The original telephone box - now a listed building - in its present location. 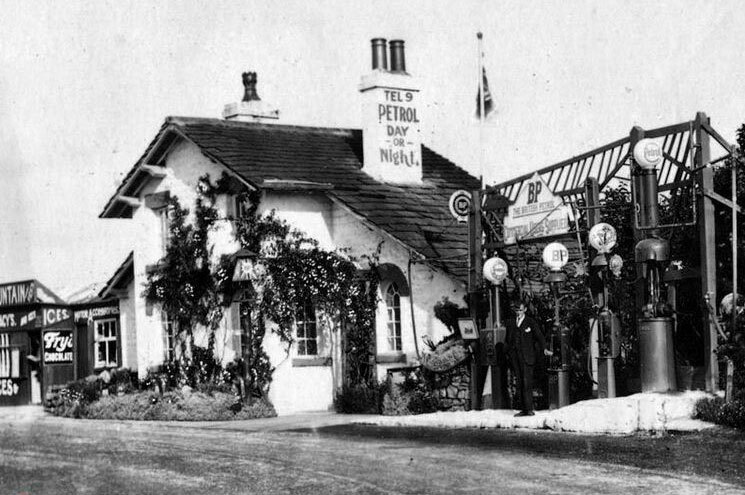 Hornby 9 - the Toll House garage. Reproduced courtesy of David Kenyon. In 1938 subscribers paid a rental, plus call charges - a small flat-rate connection charge for each call, plus a charge per minute after connection. However, ordinary residential subscribers enjoyed an allowance of free local calls – fifty one-penny calls a quarter, or their equivalent. Charges were a penny a minute for each call to an exchange within 5 miles, 2d for up to 7½ miles. The cost of a “trunk call” (over 15 miles) varied according to distance, with reduced rates available for afternoon and evening calls. Call Offices were available to the general public on payment only of the ordinary charge for calls and a small charge for the use of the call office. No charge was made for an incoming call. Carr Field in the 1960s. Reproduced courtesy C. Coates. 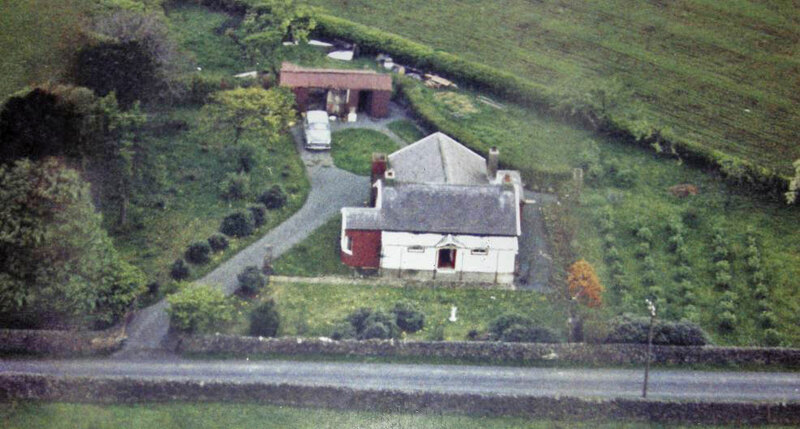 In February 1947, Mrs. McIntyre mentions phoning the Tatham Fells school caretaker, presumably from her home in Wray or from the Lowgill telephone box, as Tatham Fells School had no phone until it moved to its new premises in 1961. The construction work for Haweswater Aqueduct, from 1948 to 1952, and the temporary Hindburn camp and offices built to service the project, provided the impetus for quickly extending the network to Thrushgill from the nearest already-connected point in Lowgill. 44 Punch Bowl Hotel (L. Shackleton), Low Bentham 61344 – Punch Bowl.